Traumatic Brain Injury Causes and Symptoms | Hinman and Peck, P.C. Traumatic brain injuries (TBI) occur when trauma from a bump, blow or another injury jars or shakes the brain inside the skull, causing damage to the brain. Each TBI is different and can range from mild to moderate to severe depending upon the extent of damage. The most common and mildest form of TBI is a concussion. While most people may think of concussions in relation to football games or boxing, there are many ways to sustain a concussion. According to the Centers for Disease Control and Prevention, about 2 million Americans suffer TBI per year, with 14.3% caused by traffic accidents and 40.5% caused by falls. Concussions can also happen during any sport or activity such as hockey, soccer, skiing, or snowboarding. It is not necessary to become unconscious in order to have sustained a concussion. In addition to a single incident concussion, the effects of repetitive head injuries or SIS (Second Impact Syndrome) are also important to consider. TBI’s are the subject of a lot of research and the understanding in scientific and medical community and the effects of concussions and more severe traumatic brain injuries is growing almost every day. For example, studies on NFL players have shown that repetitive concussions and impacts can cause severe long term damage and effects. The effect of even a single concussion have been shown to potentially belong-term and even permanent. Because the diagnosis of mild forms of TBI can be difficult and because individuals have a tendency to minimize or misunderstand the cause of their symptoms, it is very important to seek out medical treatment for a concussion. Thinking/Remembering – Inability to think clearly, feeling slowed down, difficulty with concentration and retention of new information. Physical – Headache, blurred vision, nausea, dizziness, balance problems, light and sound sensitivity and feeling tired. Emotional/Mood – Irritability, sadness, anxiousness or more emotional behavior. Sleep Changes – Sleeping more or less than usual or trouble falling asleep. Lack of interest in usual activities or favorite toys. Some symptoms of a concussion will be apparent right away, while other may occur days, weeks or months after the event. Most concussions require only rest and relaxation; however, anyone who has sustained a TBI of any type needs to be seen by a medical professional. It’s not always easy to assess the severity of the injury, so do not leave anything to chance and seek medical care right away. Your physician may do a CT scan or brain scan or perform other exams including learning, memory, concentration and problem solving tests. Other tests performed may include checks your strength, balance, coordination, reflexes, and sensation. After the exam, your physician may refer you to other specialists including a neurologist, neuropsychologist, neurosurgeon, or a speech pathologist for additional care. In order to prevent concussions, remember to always wear a seatbelt, wear helmets and safety equipment during sports, while driving a motorcycle, ATV or snowmobile, and while biking, skateboarding, snowboarding or riding a horse. If you, a child or another loved one has hit their head in any manner or suffered a concussion due to an auto accident, slip and fall or any other negligence at the hands of another person, it is important you contact an attorney who is experienced and competent in handling traumatic brain injury (TBI) cases. These cases can be especially complex and your chances of a favorable outcome become significantly higher in the hands of an experienced attorney. Contact attorneys at Hinman and Peck, P.C. 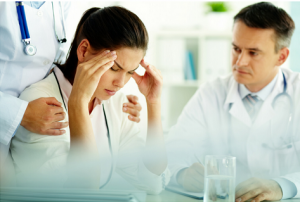 who have extensive knowledge and experience in handling traumatic brain injury cases.